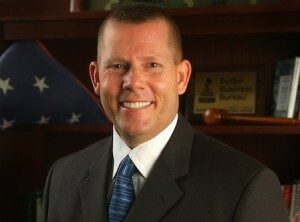 Kevin McDugle is a former Marine Drill Instructor. 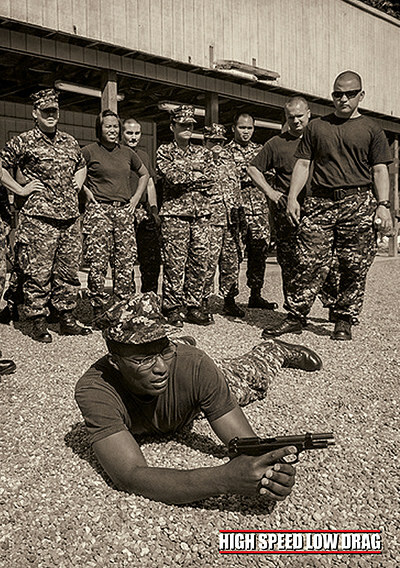 After leaving the marines, he authored the book �Inside The Mind of a Marine Drill Instructor�. He is also an entrepreneur who owns lawyer marketing services and Expect Three Marketing. He is also the director of Soldier�s Wish. Kevin is also a platinum member of the Tony Robin�s team and a John Maxwell certified speaker and trainer. Kevin: I am an entrepreneur who basically came out of the marine corps and didn�t know what I wanted to do. I have 2 companies now- Lawyer Marketing Services where we market law firms all over the country and Expect Three marketing where we produce TV shows and we also do the marketing behind those. 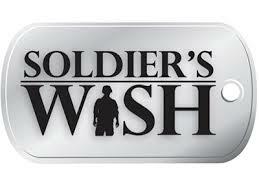 Soldier�s wish is my passion. That�s where I volunteer my time as executive director. We get to go around the country and grant wishes by active duty military and their family members. The launch of the book �Inside The Mind of A Marine Drill Instructor� came about when people kept on wanting to know my story. �Kevin: Being a drill instructor is one of the most rewarding things that you can do because you get to epitomize being a leader and passing on those leadership skills. 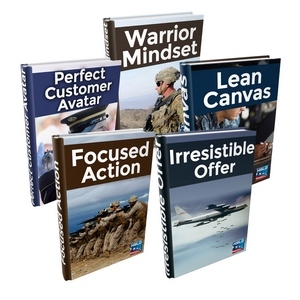 There are so many skills that you learn in the military that correlate into the civilian world but how do you make that connection. For me, one of the stories is that a drill instructor always has to be making corrections. If I walk down the floor, I better be making corrections all the way to the very end. What that does is it instills in those recruits the habit of checking yourself at all times. After that 3 month experience these recruits will develop the ability to check themselves because they�ve learned the discipline. You don�t realize that you�ve picked those things up from boot camp but you carry them with you for the rest of your life. HSLD: Can you tell us a bootcamp story that can really resonate with our listeners? Kevin: My kids were getting so good at cleaning, 2 weeks before graduation. It was getting hard for me to find something. 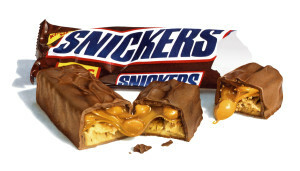 One day, prior to walking out with my squadron leader, I took a little Snickers bar and melted it down in the microwave. I rubbed my finger in it and kept a little bit on my finger. I went in the toilet, looked around and then said �what is this?!?!�. Their eyeballs got real big and I dug my finger under the toilet and said �what is this?!?�. It looks like ____. It smells like _____. It tastes like _____ so it must be!! Those guys still to this day think that I eat crap but what is the purpose of that? It is to constantly keep them on edge. They have to be aware. They will always for the rest of their life remember that moment and remember to look for the crap under the shelf. Kevin: my transition was probably a little tougher than some because I went from being a drill instructor on a Friday and the following Monday I was a civilian. I knew I needed a little transition time because as a drill instructor in that area, even the city caters to you. They know when you�re coming to town and there is special treatment. I went back to Oklahoma where no one knew who I was- nobody was snapping to, no one was making things happen. For me, when I transition back I went from being someone with a status, someone doing what they do best in the marine corps to starting all over again. The reason I transitioned was because I knew that if I stayed in the marine corps I would not be able to see my family. I was 6 out of 8 years overseas. I made the decision to leave the comfort and security for my family. I go back to Oklahoma and I honestly thought that everybody in the world would want to hire a marine. That wasn�t the case so I guess I had a bubble deflate when I got back. You�re literally starting over. It�s totally different from the military. I had to start over and that was a tough experience for me. HSLD: Let�s dive into that specific transition. What were some things that you specifically can point to from your time in the military that can be utilized in the real world? Kevin: A lot of us think of jobs and skill sets and some military members do gain skill sets like the electricians or mechanics or that type of thing. And then there are folks like me whose skill set is to kill people so how do you translate that? I naturally thought I would be a police officer so I get back and find out that they require a degree which at that time I didn�t have. So then I was deflated again. Then I started looking and the things that I got out of the military, that all of us get, are things that cannot be written on a resume. You have to show by example. The discipline. The work ethic. The mindset that you can do anything you want to do. That�s where the marine corps is really powerful. HSLD: Take us to what you consider your first real success in the civilian world. Kevin: When I went back, I didn�t have the confidence to do anything on my own. I had confidence in the things that I knew, but didn�t have it for things that I didn�t know. So I worked for a lot of companies and made them very successful. Through that success I realized that I was making others a whole lot of money- I may be able to do it on my own. My first real company I guess you could say was lawyer marketing services. I had zero money starting it. I started knocking on lawyer�s doors. We started making sales. In our first year, we gained a residual that was good monthly. We�re now 6 years into this and it just hit me that the discipline, the attitude, the work ethic- all of those things I gained from the marine corp have been translated to this is a very real way and it was monetizing to me. HSLD: How did you get over the emotional hurdle of lacking confidence and start a company? Kevin: I love a book called �Ready, Fire, Aim�. I�ve learned that whatever you want to be, whatever you dream to be, get around people who have accomplished that. I also learned that there are also people with the same fears and the same lack of confidence. HSLD: Can you take a step back and talk to us about Soldier�s Wish? Tell us how that idea came into fruition. �Kevin: I fully believe that as an individual that if you believe, you shall be given. I also believe in valuing people and their lives and that puts value in your own life. With soldier�s wish, I had run for state senate in Oklahoma and in order to help my campaign, I had gone to an organization in Tulsa and this woman kept on calling me and asking me these military questions. I got to the bottom of it and found that she was asking for a group of guys who wanted to start an organization called Soldier�s Wish. When she told me about the concept, I knew I wanted my company to build the website, host it, take care of it at no charge. So this woman went back to the members and they said that they wanted to meet me. Once we met, they asked me to sit on the board and then asked me to be executive director. So now, I can travel all over the country and grant wishes. We take the money donated by other people and use it to help someone in a rut, give back and basically thank a soldier for his service. HSLD: What was the biggest benefit brought to you by your time in the service? Kevin: The biggest benefit is learning that anything you do in the military, you very rarely do it on your own. The way I built my company was to put good people behind me. HSLD: What is the biggest struggle that you currently face in the civilian world that maybe surprises you a little bit? Kevin: I like things to happen faster than they do at times. HSLD: What�s the biggest strength that you now have as an entrepreneur? Kevin: I�ve learned that I don�t have to be in the day to day business to be successful. So I have the freedom to do what I want. That�s how I define success. Also, investing in myself and taking the time to do so. HSLD: Share one parting piece of guidance and the best way we can connect with you. Kevin: If you want to be successful get around those folks who are successful doing what you want to do. My website is kevinmcdugle.com. That tells you everything I�m involved in.